Probably one of the most commonly referenced research papers that attempt to legitimize the usage of google trend analytics in trend investing is the work done by Stanley et al. (Which can be referenced here.) In a nutshell, the article talks about research conducted by three academics on 98 search terms related to finance and the comparison of the changes in nominal searches versus changes in the Dow Jones Industrial Average. Their research determined that out of the 98 terms reviewed, the term “Debt” had the most success in determining movements in the Dow Jones Industrial Average and could have generated returns of 326% between 2004 to 2011. 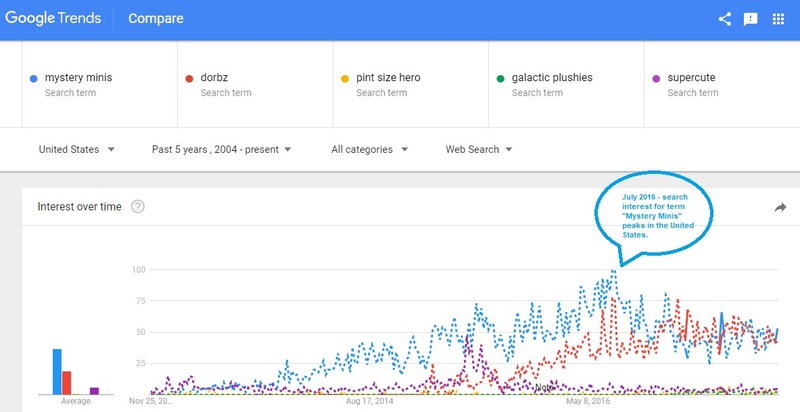 The element of time: The biggest problem with utilizing google trends in trend investing is the fact that the amount of data to draw upon is relatively little. We really only have Google search data for 2004 and onward, which poses a problem when you think about how the Dow Jones Industrial Average moved since 2004 and how many other keywords search volume changes have moved in the exact same manner. Using keyword movements to predict investment trends in the Dow Jones Industrial Average would be more significant if we had a larger data set to draw upon. Basket of Keywords: The article never really tells us how the basket of keywords was created. It would be difficult to make a determination of a basket of keywords related to finance would uncover one that can effectively predict market movements. This becomes less significant this day and age as there is a fantastic tool called Google Correlate which you can use to isolate keywords that have a much greater correlation with major market movements than picking the best of an essentially randomly selected basket of keywords. Academia VS Practicality: At the end of the day, google searches are exactly that, they’re simply google searches. The hypothetical portfolio would go long/short the Dow Jones Industrial Average depending on the signal that searches for the term “debt” were sending the week prior. To say that google searches can be used as a signal at such a high frequency does not make sense. There are so many other factors other than say investment due diligence or investor concerns behind why keywords increase/decrease. To reiterate, we are proponents of using google trends as part of a greater trend investing or swing trading strategy, and becomes less relevant for day traders. Stanley et al. do a swell job of highlighting the potential of google search trends for investing in stocks and perhaps lead to a greater discussion about the significance of corporations Big Data for the purposes of making investment decisions, although from a practicality to investors standpoint, their outlined strategy may be flawed and misleading. A more practical approach would be focusing in at a micro level looking at the most searched stocks or to use google search trends as a signal for trend investing of a longer term than weekly.